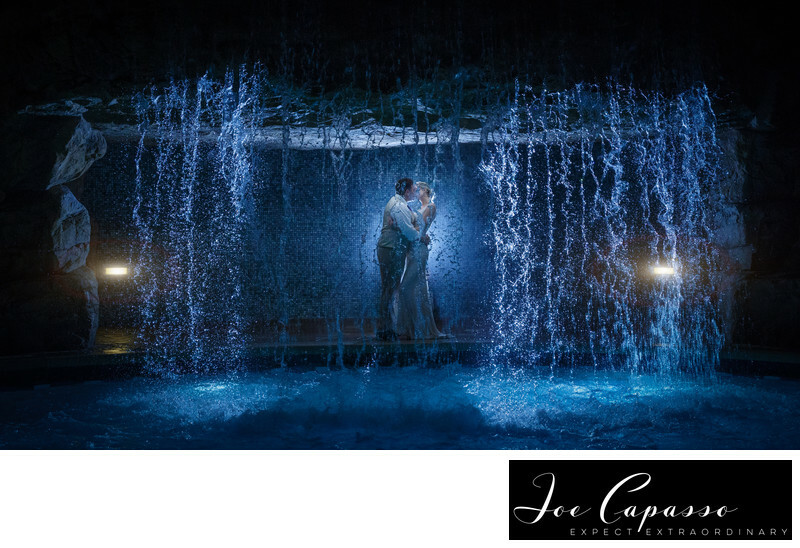 Marco Island Wedding Photographer Joe Capasso photographed this destination wedding at the Marco Island Marriott. Kelly and Chris are from the Illinois area and wanted to have a tropical destination wedding at the Marco Island Marriott. This photo was taken at the waterfall by the pool in the back of the resort hotel.